One way a bank can manage its solvency is by changing the denominator of its solvency ratio, in this case of its BIS ratio. (The BIS ratio is the ratio of capital divided by Risk Weighted Assets often refereed to as RWA). The plot below shows holdings of assets that are categorized as available for sale. These assets are often loans, and they total about a fifth of the average balance sheet of a U.S. bank. 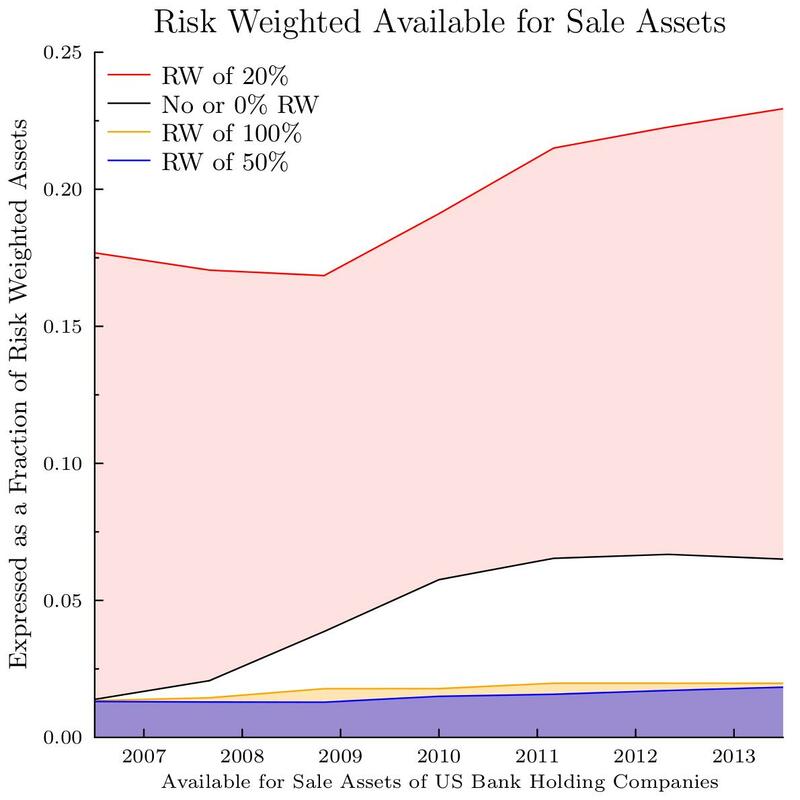 Note the increase, since 2008, of assets for which a bank needs to hold no or little capital, in doing so increasing BIS ratios. Graphs are made with GLE (Graphics Layout Engine), with data from the Chicago Fed on U.S. bank holding companies. Previous Post Leverage of U.S. Banks and Corporates, a graph. Next Post The European Bank Asset Quality Review, an inconvenience, but for whom?